Click the "Manage Classes" button. Enter a class name in the "Add a Class" text field. The class will be displayed in the list of classes. You can click on the class name to view details and students of that class. You can add multiple classes at once by using our Import Students feature. Click on the appropriate class name you want to add students to. Click the "Add Student" button in the Details for Class page. You will now see your student added to the column on the "Details for Class" page. You can add multiple students at once by using our Import Students feature. Premium members can add students to multiple classes. Click the "Manage Students" button. Select a student from the menu on the left. Click on the 'Add Student to Class' link. Select the class from the menu. You will now see this student's class list updated to reflect the new list of classes they are associated with. Only Premium members can add students to multiple classes. Find the desired lesson in the "My Lessons" menu. Select the "Assign Lesson" button for the desired lesson. Choose from the "Available Students" list by clicking on student names. Click the plus (+) button to add the Available students you chose to the "Selected Students" list. You can choose all students by clicking the "+ All" button below the list. You can also filter by class if you have more than one. When you have selected the students you want to receive the lesson, click the "Assign" button at the bottom right of the page. When the lessons are assigned, you will see a new "Assigned Users" list come up confirming the students to whom you assigned the lesson. From this list you can review their work or remove the lesson from their assignments. You can also add more students by clicking the "Assign Students" button at the top of the "Assigned Users" window. Students will see the assigned lesson on their My Lessons page. Select the 'Change My Password' option from the 'Go to' menu. Select 'My Profile' from the 'Go to' menu. Click the Edit link to the right of the password field. Under My Tales, click on the "More Options" pulldown menu for desired tale. When finished copying, you will see a copy of your tale. The title will start with "Copy of...". Click on "Join Now" in the menu bar. Click "Sign Up" for the appropriate account type. Enter the first name, last name, email address, and password you wish to use. Check the box "I agree to the terms of service". You will then be taken to your new account home page! If you want a student account, your teacher will have to create the account for you. Currently, the creation of book club lessons are done by the Little Bird Tales staff. If you would like to recommend a book club lesson, content, or improvements send an email to support@littlebirdtales.com and indicate which book you would like to see added. Note that book club lessons are reservered for premium teacher accounts. Click on the My Lessons button. On the Title Page, add your title, author name, a picture or drawing, and a recording, if desired. On your new page, add instructions in the "Instructions" field. Add artwork, text, and record your voice if desired. To lock a field, click the green locks above the fields, changing them to red. When a field is locked, a student cannot change it. Instructional text and audio cannot be changed by the student so is not necessary to lock. When you are finished with your page, click the green "Save" button. Your saved page will be added to the page list and a new page will be ready to edit. Continue to add pages until you are finished. Select the "Purchase" option from the More Options menu associated with the appropriate tale. If you have a premium account with free downloads available, a window will pop up telling you your tale is being processed. If you do not have a premium account, a window will pop up that will take you through the process of purchasing an MP4 ($0.99). You will be notified by email when this file is ready for download. If you have a premium account with free downloads available, click the "Get Free MP4" button to the right of the playback window. A window will pop up telling you your tale is being processed. If you do not have a premium account, click the "Purchase This Tale" button to the right of the playback window. A window will pop up that will take you through the process of purchasing an MP4 ($.99). Highlight and copy the text in the “Link to this tale” field. You will be notified by email when this file is ready for download. You can also look for the download button next to the tale on your 'My Tales' page. This button appears once the MP4 has been generated. We are streamlining our views so the playback will happen on the same page that you are currently on. In these cases the purchase option will be found in the "More Options" menu. Select the "PDF" option from "More Options" menu for desired tale. The PDF will be generated and downloaded to your computer or displayed in the browser. It depends on which browser you are using. Click "Join Now" in the header bar on the Little Bird Tales landing page. Click the "Sign Up" button under, "Premium Teacher". Enter your information in the appropriate fields. Each Teacher account includes 20 student accounts. To add extra students ($1.25 each), enter the number of additional student accounts in the "Extra Student" field and click "Update" to update the cost of the extra students. Click on the checkbox for "I agree to the terms of service" after you have read the terms. Click the "Create My Account" button. Note that you can purchase a premium teacher account or upgrade to a premium teacher account by emailing or mailing us a purchase order. Student accounts can also be purchased at any time after your premium account has been purchased. Premium accounts and student accounts are billed automatically on an annual basis. Click the "Create Tale" button on your home page, or select "Create a Tale" from the "Go To:" pull down menu. Change the default title and author if desired. Add artwork by drawing, uploading a picture, or choosing an image from your galleries. Record your voice to the title page if desired. Click "Save" in the top right to proceed to "edit page". You will notice a thumbnail of your page to the far right under "Pages" and a "New Page" will appear. You will notice your new page added to list of pages in the right sidebar. Continue to add pages until your story is finished, saving each page as you go. In My Gallery, select the gallery containing the images you want. When the gallery opens, click the "Create Tale" button at the top. Fill in the title of your new tale as prompted and click "save". You will be taken to the Title page of your tale in Edit Pages. Proceed by editing the title information and/or recording your voice and saving. Edit the title/author if desired and/or record your voice. Save all changes. Make edits, adding text and/or voice to your pages. If the page has recorded audio, a speaker icon will be displayed under the record button. 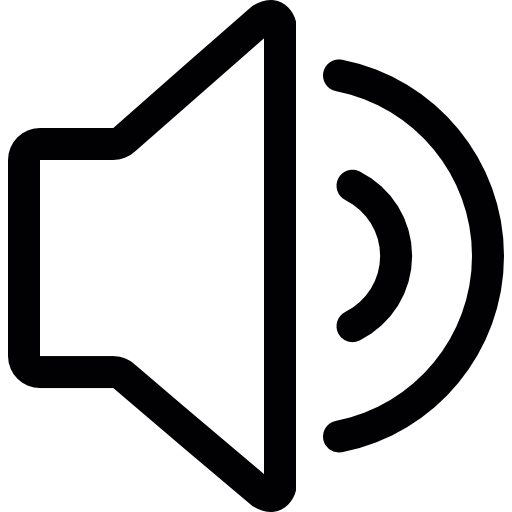 Click the speaker icon to toggle audio on or off. 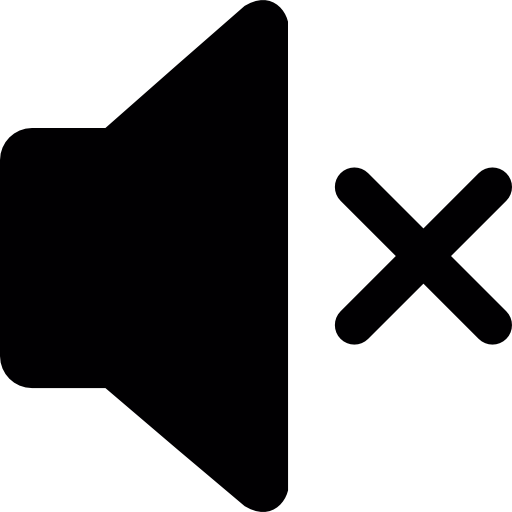 When muted, the speaker icon looks like . No need to save the page if this is the only change you make. If you want to record audio on this page again, you need to unmute the audio first. Click the "Embed Code" button for the desired Tale. Scroll down, then highlight and copy the all text inside the last text box. Paste code into your website, blog, etc. The embed HTML code creates a static place holder for your tale on your site or blog. When clicked on, users will be redirected to littlebirdtales.com to view your tale. Click the "Embed Code" button under the playback window. From your homepage, click the orange "Lessons" button. Select the "Book Club Lessons" button in the upper right. To preview, double click the desired Lesson thumbnail, or select "Assignment Preview" from the pulldown menu. To use the desired lesson, select "Copy Lesson". The lesson will now be saved under the Book Club tab under "My Lessons". Copied Lessons can be edited and modified by you before assigning to students if you desire. Select the 'Recent Activity' item from the 'Go To' menu. In the upper portion of this view, you enter your search criteria. Select a specific class, enter a student first and/or last name and specify the date range to search over. Click the Search button to perform the search. Any results will be displayed below. In the search results, you can perform actions on both the student and their lessons and tales that are displayed. Note that this feature will be made available to all teacher accounts while in beta. Once out of beta, this feature will become a premium teacher account feature. You can create a CSV or Excel document to import multiple students/classes at once using our Import Students feature. The Import Students feature allows you to select a comma seperated values file (.CSV files) or an Excel workbook file (.XLS files) to import. The column spelling and order must not change. The username and password data are optional. If left blank, this data will be generated during import. Once you import your data, you can see a report by scrolling down the page. You can view more detailed information on the Import page. Click "Sign In" to the far right of the menu bar. Enter your username and password. If you have a student account, you will also need to enter the school code assigned by your teacher. You will then be taken to your account home page! Go to your home page or My Tales. Click the Public/Private toggle switch for the appropriate tale. A LittleBirdTales.com moderator will review your tale and make it public if it meets the crtieria below. You can make a tale private again by making and saving any change to the tale. Note that this feature is reservered for premium accounts. Each tale must have a Title, Author, cover picture, and be at least 2 pages long. Must not use any copywritten material. Tales must be appropriate for viewing by kids ages 5-13. Tales not created by/for kids aged 3-13 will be made public at moderator's discretion. Click on Create Tale or edit an existing tale. Click the "Settings" under the record buttons. This will display a small "Settings" window. Make sure the Allow checkbox is checked. This gives permission to access your computer's microphone. Click the microphone tab in the "Settings" window. At this point, the round record button should be green. Make sure the correct input device is selected. Click the round green record button. The "Stop" button will turn orange and this means you are recording. You should notice the level bar reacting to your voice as you speak. Click "Stop" to stop recording. Click "Play" to listen to your recording. If you are not satisfied, click the green record button and try again! Once you are happy with the recording, and have included an image and/or text (if desired), click "Save" to save your page and recording. Note that Google Chrome browsers display another alert asking for permission to access your microphone. This is sometimes not obvious to see. It is displayed at the top of the browser window. Recording requires Flash version 10 or higher. Click here to view which version of Flash you have installed. Note: LBT does not use/access the camera on your computer, but since the camera and mic are linked, we must ask permission for both. You can reorder pages when editing a Tale. Click and hold the mouse on the image of a page in the vertical list of pages shown on the right. Drag the image vertically to move it to a new location. You will see the outline of the page as you drag it. Release the mouse when you have moved the page to a new location. To save the new page order, click the Save button. The pages will refresh with the new page numbers once saved. When moving a page to the cover location, any text on the moved page will not be copied to the cover page since the cover page does not show text. The original text will still remain though. You can reorder pages multiple times before saving. Each teacher account needs to be associated with a school before they can add a student or classes. When you login to your teacher account for the first time, you will see a red "Select School" button. Click this button to associate your teacher account with a school. You can find your school by its zip/postal code. If you do not find it, you can add it. Once you select a school, you will be able to add students and classes. In "My Lessons" find the lesson you wish to share. Select "Share Lesson" from the "More Options" pulldown menu. Click on teachers from the "Available Teachers" list and click the plus (+) button to add them to the "Selected Teachers" list. Click the "Share" button in the lower right. A "Sharing Lesson" notification will be visible and will disappear when the lesson has been added to the "My Lessons" for the selected teachers. Only teacher accounts can share and create lessons. Click the "More Options" pull down menu for the desired tale. Enter the email addresses of those with whom you want to share the tale, enter a subject and message, and click the "Share" button at the bottom. An email will be sent to your recipients which contains a link to your tale that they can click. You can easily share it by copying and pasting the URL in the address bar to any email, Facebook post, Tweet, etc. Or click the “Embed Code” button below the playback window. Paste text to any email, Facebook post, Tweet, etc. For the appropriate class you want to transfer, select the 'Transfer Class Ownership' option from the Actions menu. Then in the window that displays, select the teacher you want to give the class ownership to. Click the 'Transfer Class' button. The teacher will receive an email to notify them the class was transferred to them. Click the "Transfer" link to the right of a user. Verify the parent email address displayed is the correct email address for the parent. Enter an email addresses if needed. Click the green Transfer button. If no premium family account exists with that email address, one will be created and the user's work copied to that account. If a premium family account exists with that email address, then user's work copied to that account. Select the 'Transfer Student Data' item from the 'Go to' menu. A list of your students will be displayed. The uses for Book Club are limitless and of course you already understand the benefits to a reading group over a worksheet. We recommend assigning a Book Club Lesson to the group several days before the group discussion so as to optimize student engagement and a deeper discussion. While editing a Tale or Lesson, click on the My Galleries button under the Artwork window. The selected image will appear in your Artwork window. Click the "Save" button before leaving page, to save the image. While editing a Tale or Lesson, click the Art Pad button under the Artwork window. The Art Pad will pop up. A black paintbrush is the default tool. To draw, click and hold the mouse button over the white canvas area and move the mouse. To change color, click on a different color in the color pallet to the right. To change tools, choose from the tool options on the left. Tools available from right to left, top to bottom: paint brush, eraser, straight line, square/rectangle, circle/oval, fill tool, text. To undo/redo use the arrow buttons under the tools. To upload an image from your computer, click the "Upload" button under the canvas. To save your canvas, click the "Save" button under the canvas. This will also save it to your gallery. You will need to click the Save button on the page to save the image to the page. To clear the whole page, click the clear button under the canvas. To change the brush shape, use the pulldown menu under the undo/redo buttons. To change line thickness, the transparency or the fade/smudge of a line or fill color, slide the arrow to the desired level using the tools adjustments at the bottom of the toolbar. Not all adjustments are available for all the tools. The Fill Color is the color that is inside a shape (rectangle/circle) or used with the "fill" tool. The Stroke Color is the color of the brush, the line and the outline of a circle/square. To change the stroke color, click on the "Stroke Color" box, and then select the color you desire from the palate. To change the fill color, click on the "Fill Color" box, and then select the color you desire from the palate. Note: You can smudge a line or brush, but not a shape. You can adjust the transparency of the fill of a circle/square, but you cannot adjust the transparency of the outline. Adjusting the thickness of a shape only effects the outline. You can upload images from inside a tale when editing, from a gallery and from the art pad. Under the Artwork window, click on the "Upload" button. Chose the desired image from your computer and click the "Open" button. The image will load to your artwork window. Under the canvas, click on the "Upload" button. The image will load to your canvas. You can then proceed to save, or draw/alter the image as you wish with the art pad tools. Click the save button before closing the art pad window. This will save to the canvas and to your gallery. After closing the art pad, you will see your image in the artwork field on your page. To save your image to the page, click the green save button before leaving the page. Click the "Import Images" button on the My Gallery page. Select the image or images you wish to import and click "open". Once imported, you will see your images on the gallery page. To upload multiple images at once, use the In My Gallery method. In My Gallery, click on the gallery you want to import images to, or create a new gallery by clicking the "Create Gallery" button. Click the "Import Images" button. Select the images you want from your browser and click the "Open" button. You will see the images in your gallery after they are finished importing. To view your billing information, select 'Billing History' from the 'Go To' menu. It will display the current credit card used for payments if any. It will show the current plan your account is using. Allows you to upgrade your plan. Allows you to change your billing information. In "My Lessons", find the lesson you want to review. Select "View Assignees" from the "More Options" pulldown menu. On the "Assigned Users" page, click the "Review" button for the student whose work you wish to review. Their Lesson will come up and you can review each page by selecting from the Page list.